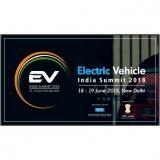 "Electrifying Indian Mobility by comprehensive and cumulative collaborations"
The EV India Summit will address the competitive landscape of electric vehicles worldwide, coupled with the vast opportunities and potential challenges of EV development in India. At this global gathering you will capitalize on the latest EV trends and exchange ground breaking ideas with experts and industry visionaries on trending topics including, battery technologies, energy storage solutions and developing charging infrastructure. It wasnt very well done. NO VISITORS , NO DELAGATES. Should have worked on it.